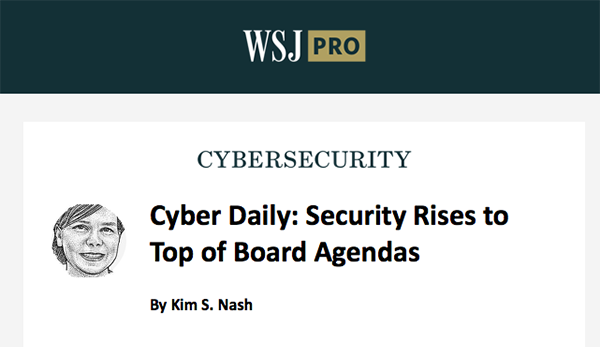 The dark ages of cyber risk management are over. Quantifying cyber risk in financial terms is not only possible, it is an absolute must for your organization. 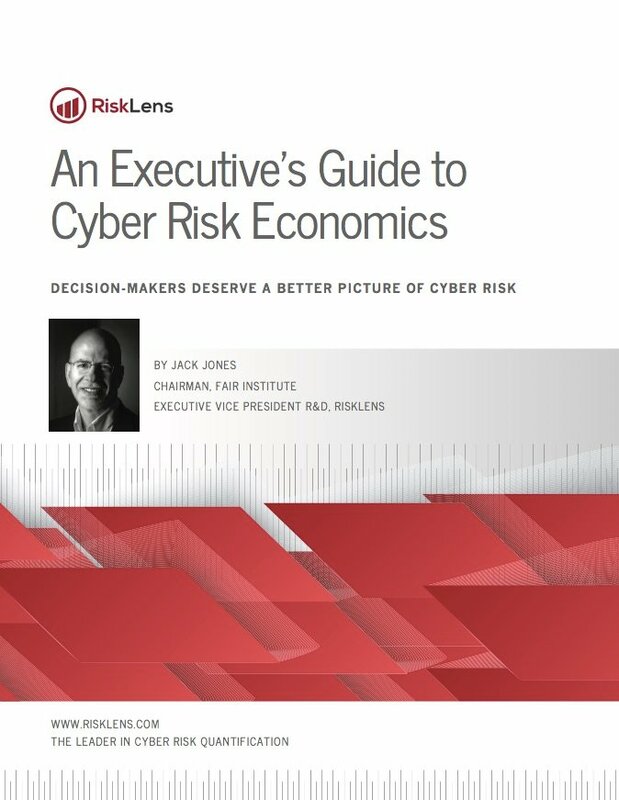 To fulfill your oversight and governance responsibilities, you must demand that cyber risk teams stop reporting cyber risk with qualitative risk scores or 'heat maps' that shed no light on the bottom line impact of potential cyber events, and instead ask them to translate that risk into the economic language of business. With RiskLens it is finally possible to translate cybersecurity risk into the economic language of business. Understand the potential business impact of cyber events in financial terms. Provide explicit guidance to management and the security teams on what levels of loss exposure is acceptable for various forms of loss, so they can build effective security programs that drive results against those targets. Gone are the days of approving investments based on trends or the 'gut-feel' advice of security experts. With RiskLens, investments are justified based on their capacity to cost-effectively reduce risk to an acceptable level. 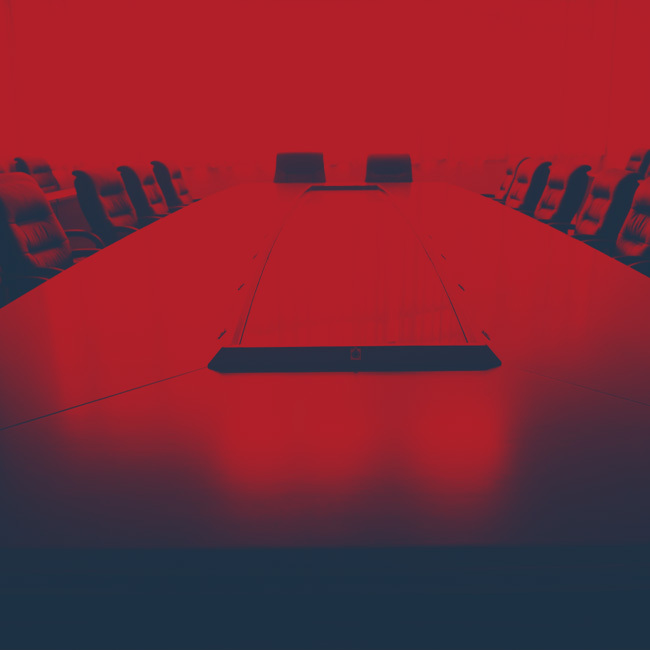 With RiskLens, Boards of Directors and Executive teams are finally able to understand the potential financial impact of cyber events. 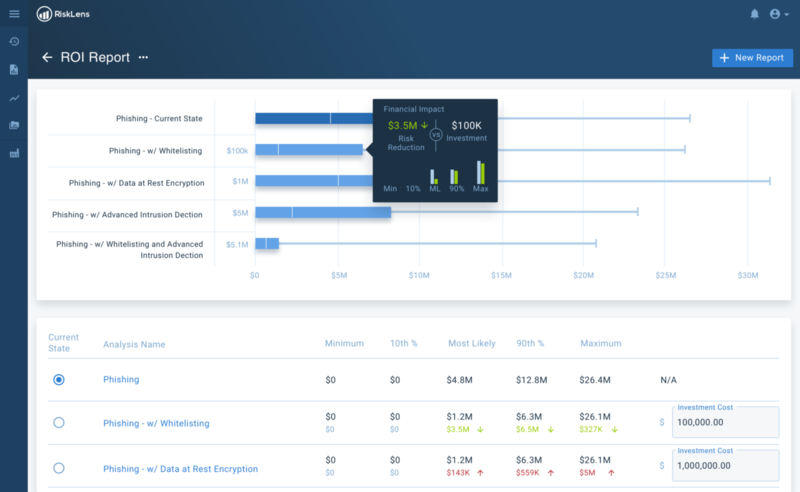 Your Security teams are able to assess risk scenarios across every aspect of the business, report on those scenarios in financial terms and enable you to make informed governance decisions based on the organizations’ unique risk appetite. 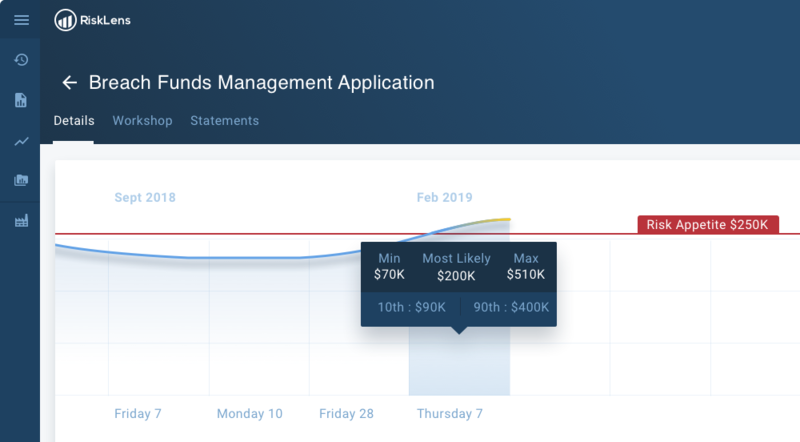 In less time than you might imagine, you’ll be able to see top risks to the organization, evaluate the impact of investments against those risks, and track risk reduction over time against clearly defined objectives. Stop being held hostage by cyber risk teams who provide overly technical information and move away from discussions on “high-medium-low” risk appetite statements which don’t provide clear direction to the business. Make risk objectives clear in financial terms – which is a language that the business already understands and is held accountable to. 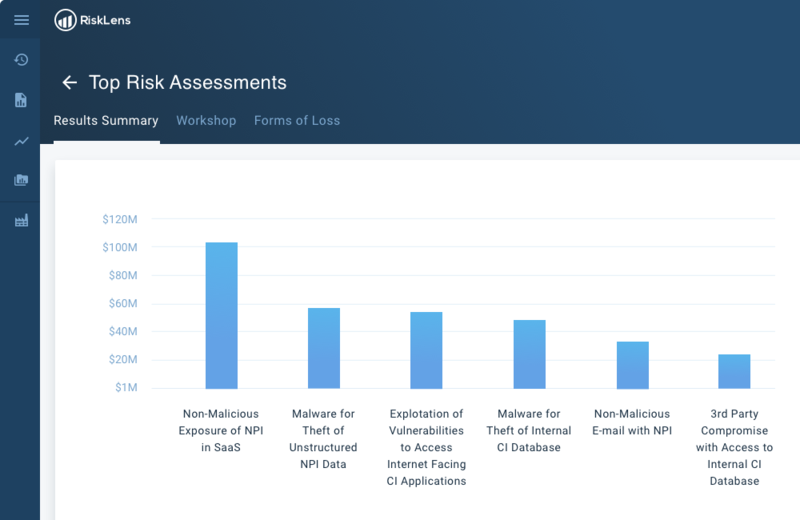 Monitor how the company is performing against risk objectives over time with confidence that cyber risk assessments are based on a internationally recognized standard adopted by 30% of the Fortune 1000. Get answers to the questions you need to make an informed decision on budget approvals: “Are we spending too much or too little on cybersecurity?”; “How do we know that our cybersecurity program is effective?”; “What is the ROI of this strategic security initiative?”; “What type of cyber insurance coverage do we need?”. Go beyond industry benchmark comparisons which tell you little about your organization’s unique needs. 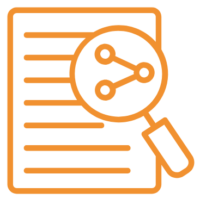 Demand visibility into your organizations’ current cyber loss exposure and request insights into what it would take to reduce risk to an acceptable level. Evaluate alternative investment strategies and see which strategy best meets desired risk goals. The cyber risk revolution is brewing in the Healthcare industry. 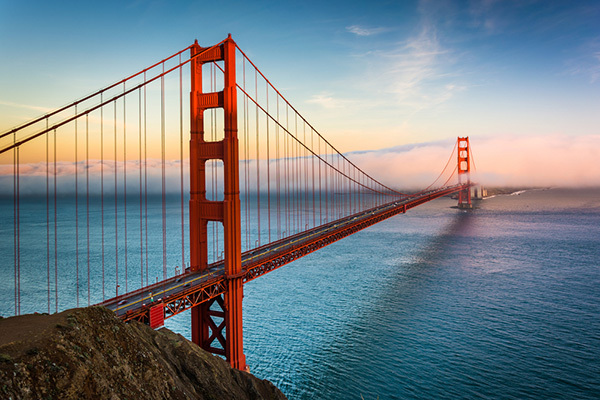 Across the United States, RiskLens is trusted by some of the largest hospital networks, payers and pioneers in health research and pharmaceuticals. Pioneering companies in the tech industry turn to RiskLens to help them get cyber risk management right. Emerging companies and entrenched tech players alike are turning to cyber risk quantification in droves. Hear James Lam – Chair of E*Trade’s Risk Committee explain his vision for the future of cyber risk management from the 2018 FAIRCON conference. Within a matter of weeks you can completely change your understanding of cyber risk. Encourage your organization to embrace cyber risk quantification. Schedule a Demo today.